Foothills of Cupertino CA. 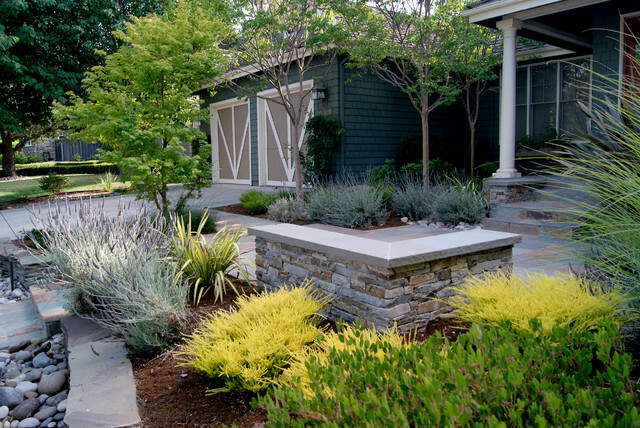 - Traditional - Landscape - San Francisco - by West Bay Landscape Co. The texture of the stacked stone veneer withthe clean lines of the slate tiles are complementary to each other.